Today is October 31. Halloween is here, and with it, the last day of Halloween Movie Madness. Since this is the last one, I decided to go out in a blaze of positively charged proton streams. 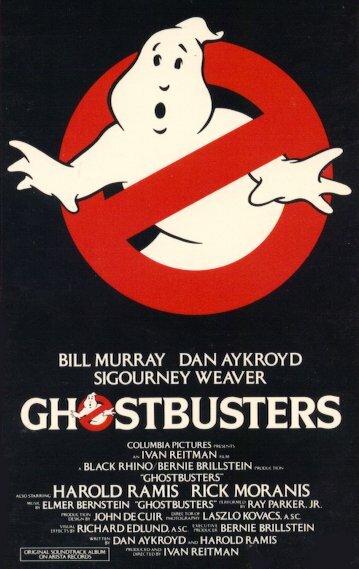 Today, it's a double header of Ghostbusters and Ghostbusters II. The Ghostbuster series has a huge following. It has spawned a great cartoon, the best Hi-C flavor ever, and a few video games. There has even been some rumblings lately of a third movie. The time to join the fight has come! 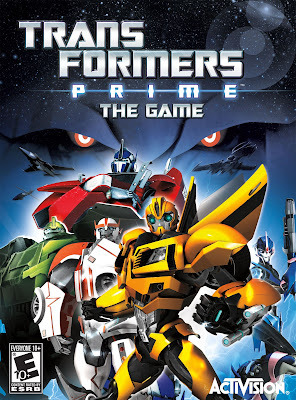 Activision has released Transformers Prime for the Wii, DS, and 3DS (with a Wii U version on the way), and along with it, a new trailer. 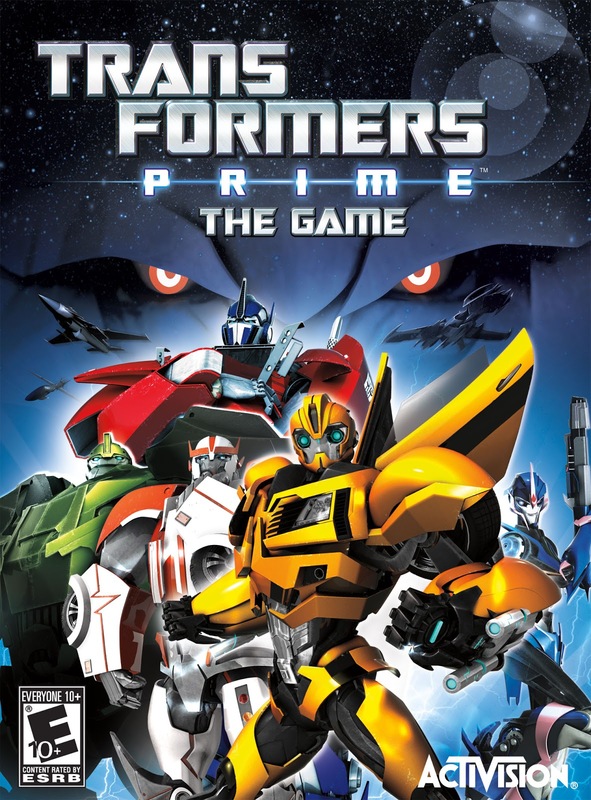 I was really hoping that this game is more like Transformers: Fall of Cybertron than any of the last few Transformers games on the Wii, but going by the description, it looks like a driving game combined with a fighting game. I'm not sure how I feel about that. 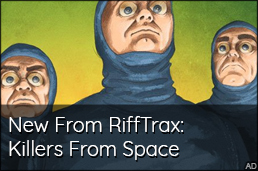 Regardless, you can check out the trailer and the press release after the jump! It's October! 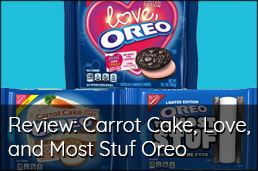 That means two very important things: Pumpkin Pie Pop-Tarts are here, and Halloween is near! My favorite thing to do in October to prepare myself for Halloween is to, of course, watch movies that I feel best exemplify the season. Now, this doesn't just mean extreme gore fests (of course, I do love me some gore), but I like to include movies that have that Halloween feel. Anyway, let's get to Day 29 of Halloween Movie Madness 2012! 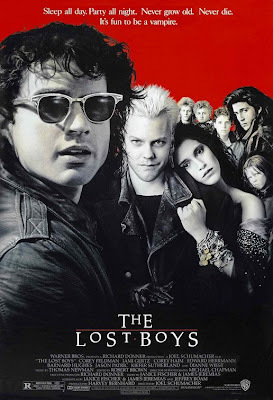 Take Corey Haim, Corey Feldman, and Jack Bauer. Stick them all in the same movie, and throw in a few cups of the 80's. Stir thoroughly. Cook for 97 minutes, and you should have a wonderful looking copy of The Lost Boys. Just saw these in the store, and thought I would share. 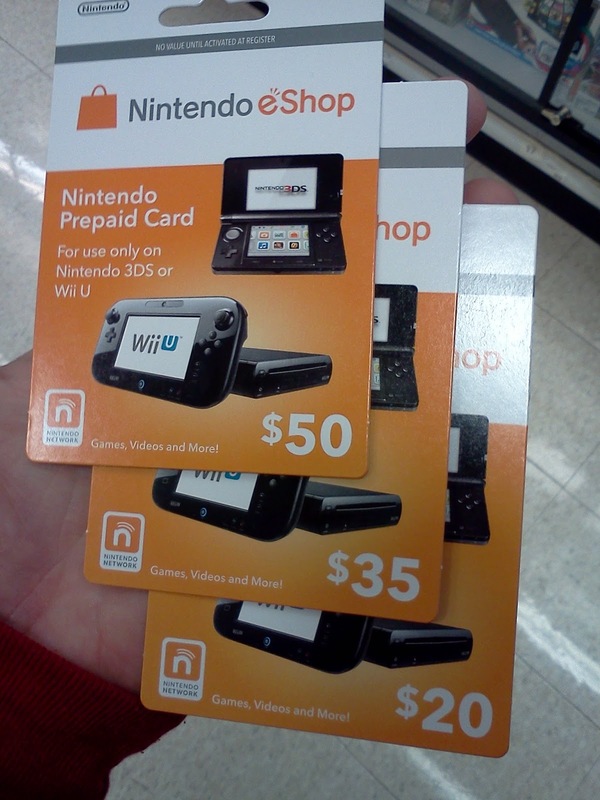 It's the first time I have seen them anywhere, and I just bought two of the 3DS cards yesterday. It's October! That means two very important things: Pumpkin Pie Pop-Tarts are here, and Halloween is near! My favorite thing to do in October to prepare myself for Halloween is to, of course, watch movies that I feel best exemplify the season. Now, this doesn't just mean extreme gore fests (of course, I do love me some gore), but I like to include movies that have that Halloween feel. Anyway, let's get to Day 26 of Halloween Movie Madness 2012! 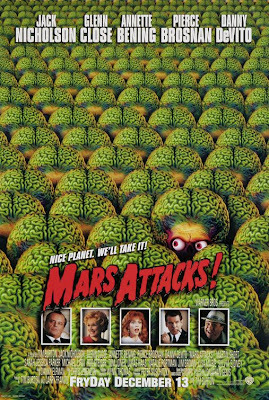 Today's movie is Mars Attacks. 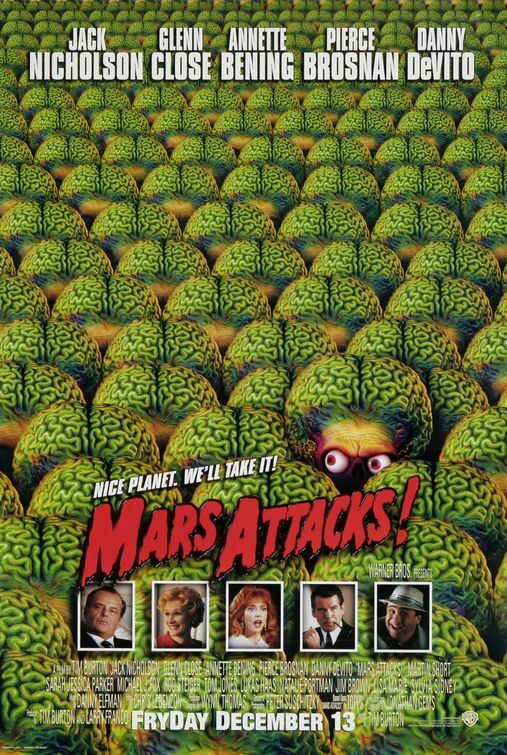 This movie is based off of the series of Mars Attacks trading cards put out by Topps in 1962. The cards were very violent (and cool) in their depictions of the Martian invasion. The movie also graphically depicts the deaths of innumerable people, and there's nothing wrong with that. It's October! That means two very important things: Pumpkin Pie Pop-Tarts are here, and Halloween is near! My favorite thing to do in October to prepare myself for Halloween is to, of course, watch movies that I feel best exemplify the season. Now, this doesn't just mean extreme gore fests (of course, I do love me some gore), but I like to include movies that have that Halloween feel. Anyway, let's get to Day 25 of Halloween Movie Madness 2012! Pitch Black is tonight's Halloween Movie Madness movie. 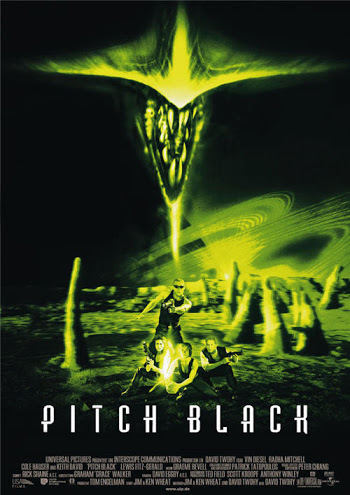 Well, I guess the new, full title is The Chronicles of Riddick: Pitch Black. Odds are you are more familier with either the movie's sequel, The Cronicles of Riddick, or maybe even the extremely well done prequel video game, The Chronicles of Riddick: Escape from Butcher Bay. It's October! That means two very important things: Pumpkin Pie Pop-Tarts are here, and Halloween is near! My favorite thing to do in October to prepare myself for Halloween is to, of course, watch movies that I feel best exemplify the season. Now, this doesn't just mean extreme gore fests (of course, I do love me some gore), but I like to include movies that have that Halloween feel. Anyway, let's get to Day 24 of Halloween Movie Madness 2012! 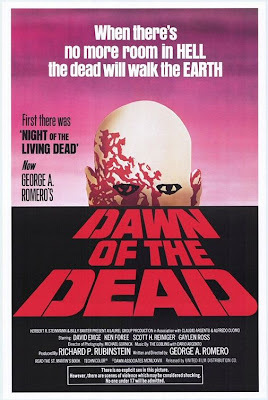 The original Dawn of the Dead, the movie that ranks at the very top of my favorite zombie movies list, is the subject of today’s Halloween Movie Madness. It's October! That means two very important things: Pumpkin Pie Pop-Tarts are here, and Halloween is near! My favorite thing to do in October to prepare myself for Halloween is to, of course, watch movies that I feel best exemplify the season. Now, this doesn't just mean extreme gore fests (of course, I do love me some gore), but I like to include movies that have that Halloween feel. Anyway, let's get to Day 23 of Halloween Movie Madness 2012! 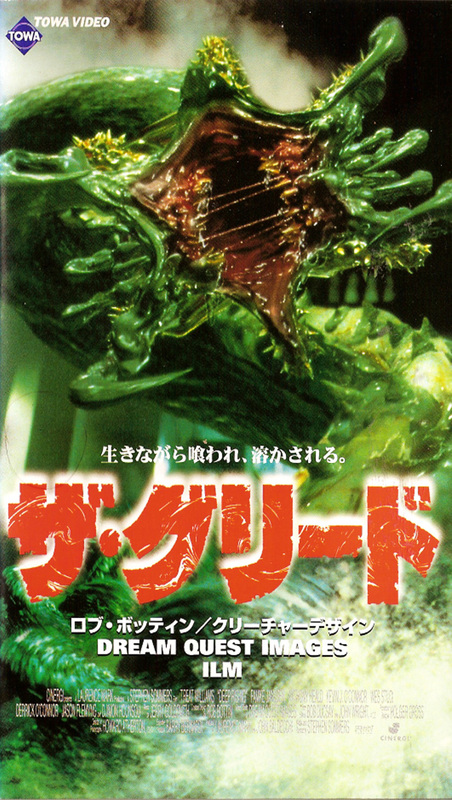 Today's film is Deep Rising. Have you ever seen it? If you have not, and you like movie with giant sea creatures, half-digested people, and Famke Janssen, I strongly suggest this movie to you. 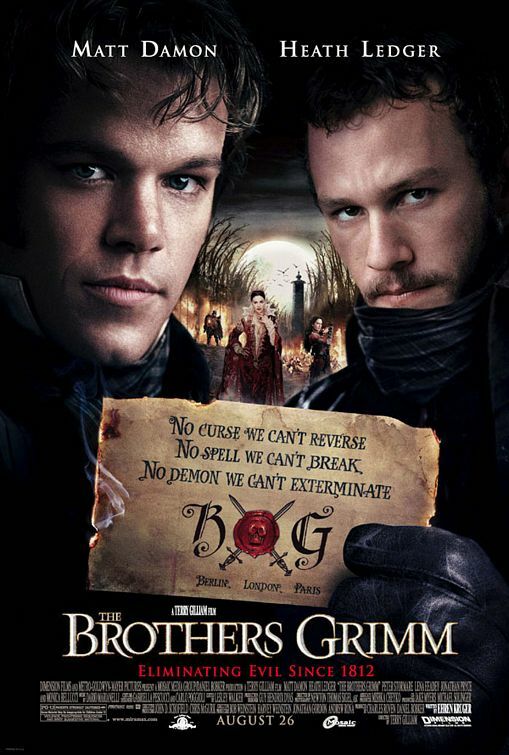 Of course, this is one of those movies that I have a blast watching, but critics hated. 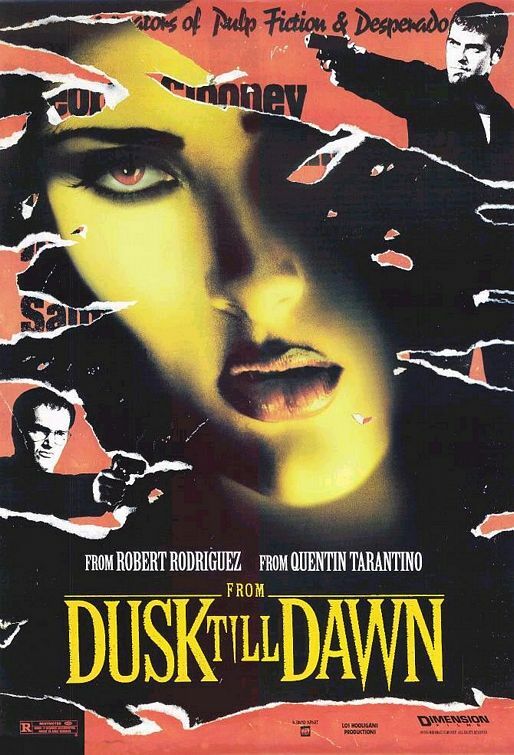 In fact, its one of Ebert's "most hated films". I think that makes me like it even more. It's October! That means two very important things: Pumpkin Pie Pop-Tarts are here, and Halloween is near! My favorite thing to do in October to prepare myself for Halloween is to, of course, watch movies that I feel best exemplify the season. Now, this doesn't just mean extreme gore fests (of course, I do love me some gore), but I like to include movies that have that Halloween feel. Anyway, let's get to Day 22 of Halloween Movie Madness 2012! 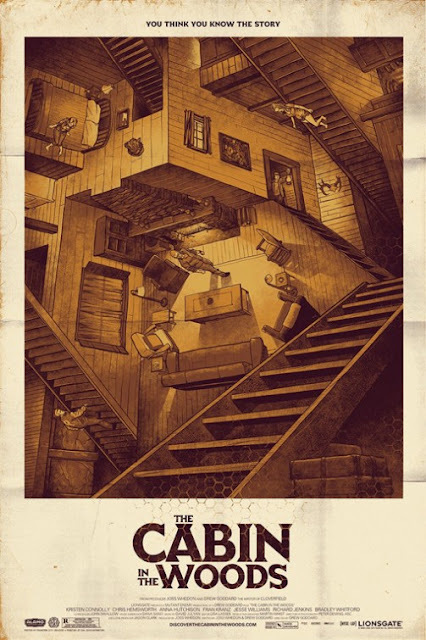 Tonight's flick is one of my favorite movies in this year's Halloween Movie Madness. 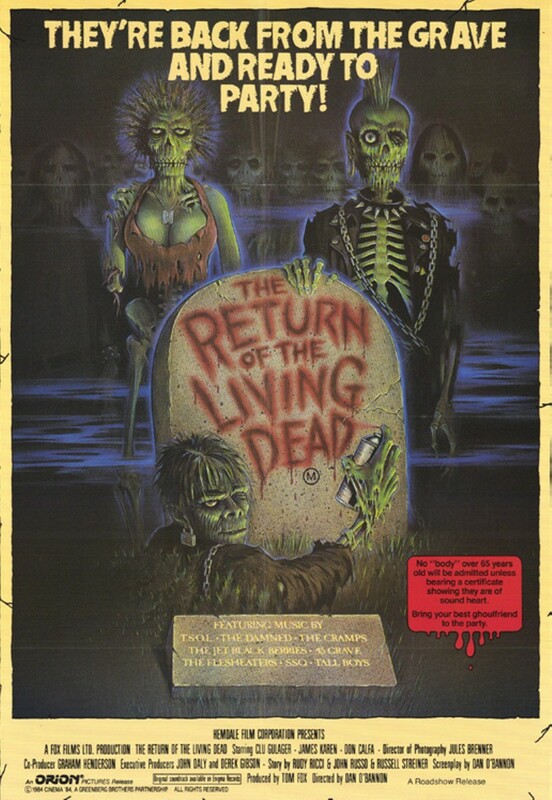 Return of the Living Dead was written by John Russo, who co-wrote Night of the Living Dead with George Romero. 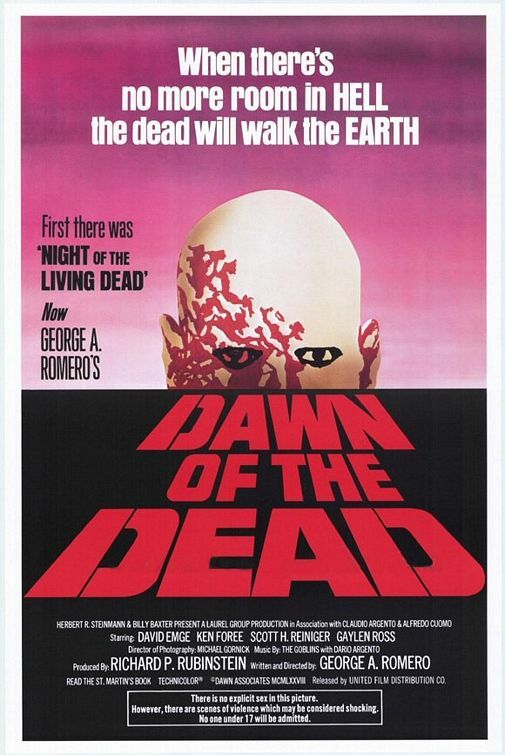 After the two parted ways after NotLD, Russo retained the rights to "Living Dead", while Romero was free to use "of the Dead" in his titles. 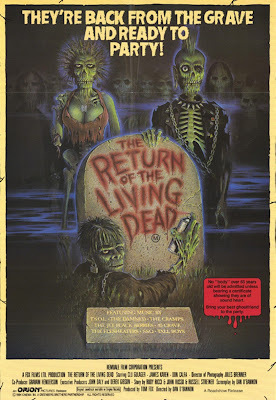 This has caused a bit of confusion in the past and has caused people to believe that Return of the Living Dead was a sequel to NotLD. However, once you actually watch the movie, you find that to be false - mostly. It's October! That means two very important things: Pumpkin Pie Pop-Tarts are here, and Halloween is near! 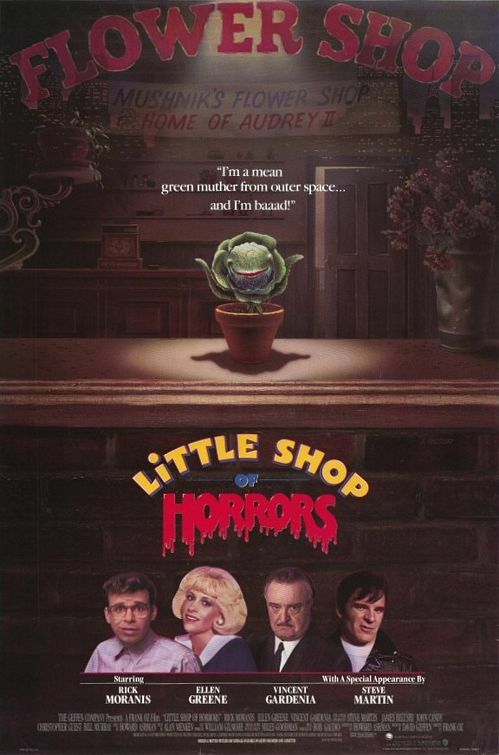 My favorite thing to do in October to prepare myself for Halloween is to, of course, watch movies that I feel best exemplify the season. Now, this doesn't just mean extreme gore fests (of course, I do love me some gore), but I like to include movies that have that Halloween feel. Anyway, let's get to Day 20 of Halloween Movie Madness 2012! 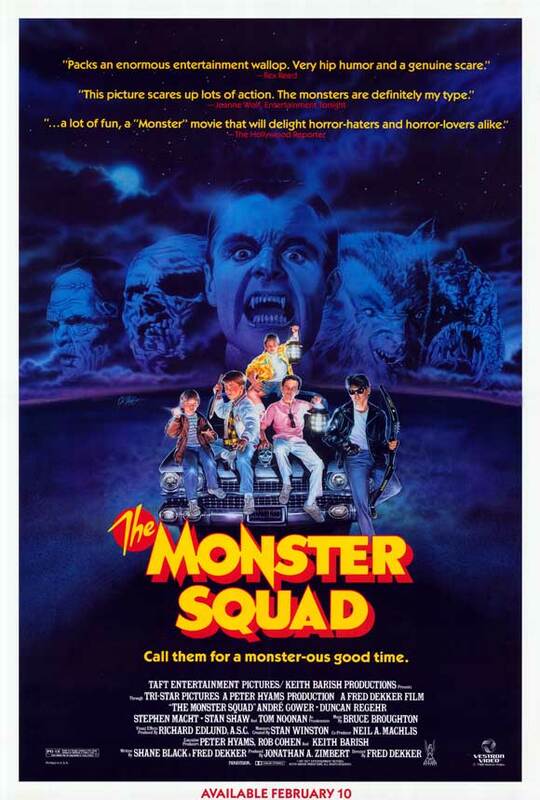 Tonight’s movie is The Monster Squad, one of my all-time favorite movies from when I was a kid. 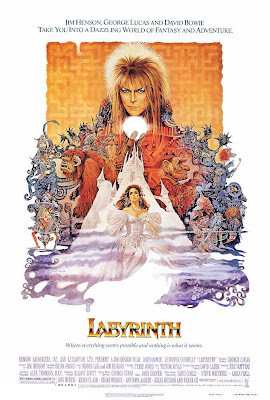 I really couldn’t tell you how many times I saw this movie back in the day. And it wasn't until they finally released the DVD a few years ago that I was finally able to watch it again. And watch I have. I still love this movie. This year was also the first time my son watched it. He loved it too. It's October! That means two very important things: Pumpkin Pie Pop-Tarts are here, and Halloween is near! My favorite thing to do in October to prepare myself for Halloween is to, of course, watch movies that I feel best exemplify the season. Now, this doesn't just mean extreme gore fests (of course, I do love me some gore), but I like to include movies that have that Halloween feel. Anyway, let's get to Day 19 of Halloween Movie Madness 2012! 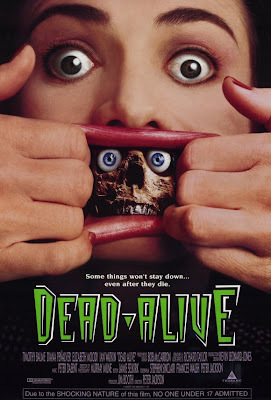 Last night felt like a good night for a ghost story, and this particular ghost story was actually the first Peter Jackson movie I laid eyes upon, and it in turn caused me to lay eyes on some of his other works, like the completely awesome Dead Alive. It's October! That means two very important things: Pumpkin Pie Pop-Tarts are here, and Halloween is near! My favorite thing to do in October to prepare myself for Halloween is to, of course, watch movies that I feel best exemplify the season. Now, this doesn't just mean extreme gore fests (of course, I do love me some gore), but I like to include movies that have that Halloween feel. 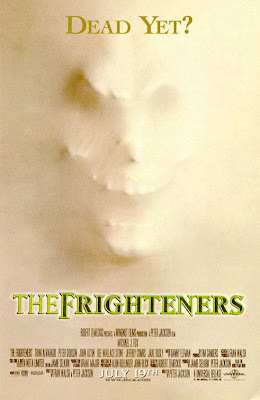 Anyway, let's get to Day 18 of Halloween Movie Madness 2012! 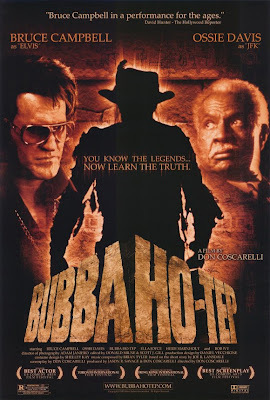 Bubba Ho-Tep, for those of you who don’t know, is about Elvis and JKF fighting a mummy. Only, it takes place in a nursing home with an old Elvis, an old wheelchair bound JFK, who also happens to be black now (“They dyed me this color! That's how clever they are!”). It's finally October! 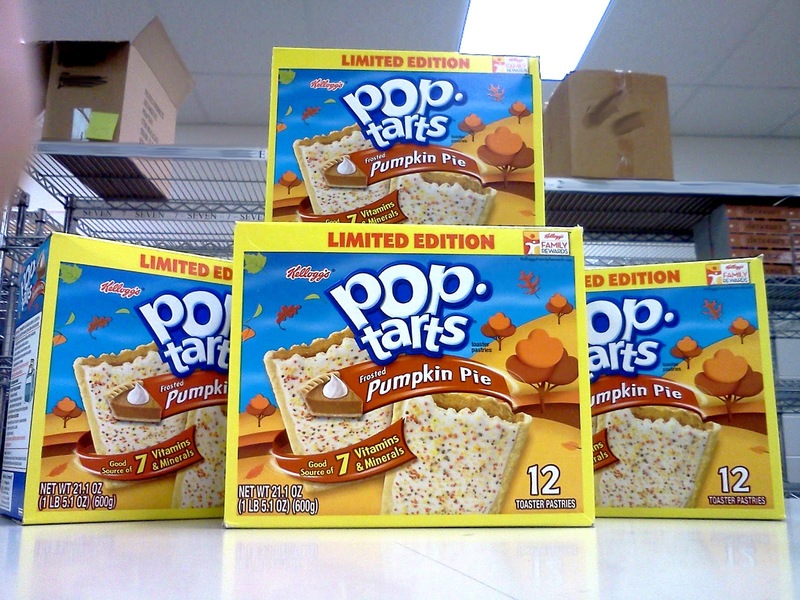 That means two very important things: Pumpkin Pie Pop-Tarts are here, and Halloween is near! My favorite thing to do in October to prepare myself for Halloween is to, of course, watch movies that I feel best exemplify the season. Now, this doesn't just mean extreme gore fests (of course, I do love me some gore), but I like to include movies that have that Halloween feel. 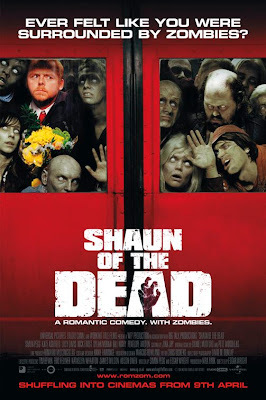 Anyway, let's get to Day 17 of Halloween Movie Madness 2012! 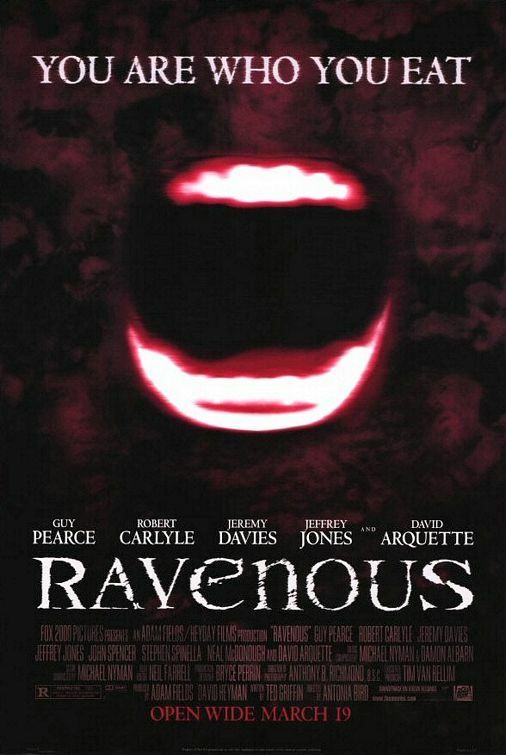 Tonight's film is Ravenous. 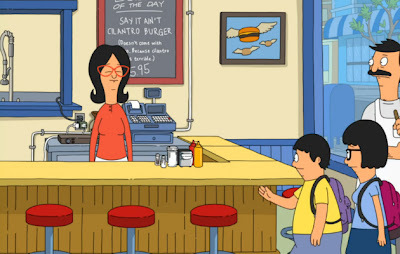 Every time I watch this movie, it makes me hungry. 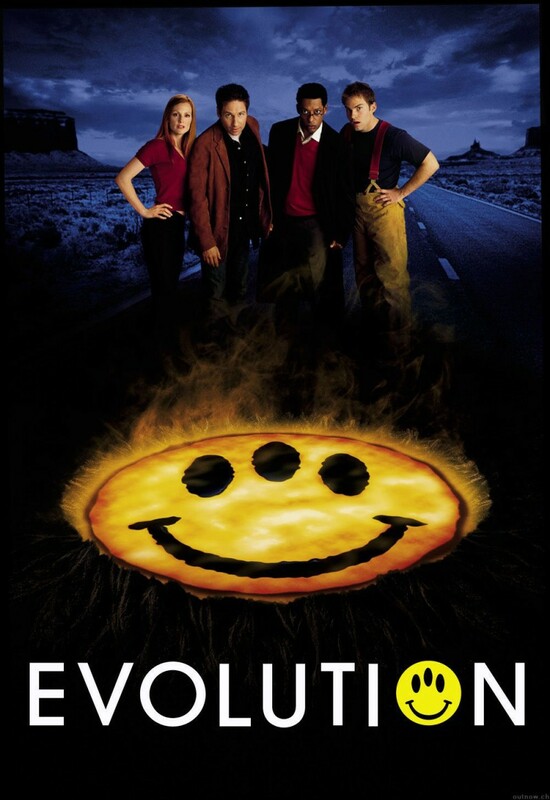 I know that probably sounds crazy given the subject matter of this movie, but I can't help it. The stew looks really good. It's finally October! That means two very important things: Pumpkin Pie Pop-Tarts are here, and Halloween is near! My favorite thing to do in October to prepare myself for Halloween is to, of course, watch movies that I feel best exemplify the season. Now, this doesn't just mean extreme gore fests (of course, I do love me some gore), but I like to include movies that have that Halloween feel. Anyway, let's get to Day 14 of Halloween Movie Madness 2012! Tonight's movie is the third from John Carpenter to make Halloween Movie Madness. 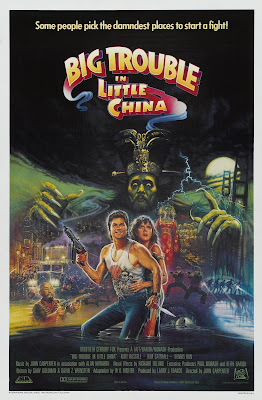 It also stars Kurt Russell and Wilford "Quaker Oats" Brimley. That's right, it's The Thing. And not the newer prequel. Forget that junk. I only like John Carpenter's remake. On a side note, I was going to say Wilford "Liberty Medical" Brimley, but I like oatmeal more than I do diabetes. It's finally October! That means two very important things: Pumpkin Pie Pop-Tarts are here, and Halloween is near! My favorite thing to do in October to prepare myself for Halloween is to, of course, watch movies that I feel best exemplify the season. Now, this doesn't just mean extreme gore fests (of course, I do love me some gore), but I like to include movies that have that Halloween feel. Anyway, let's get to Day 13 of Halloween Movie Madness 2012! 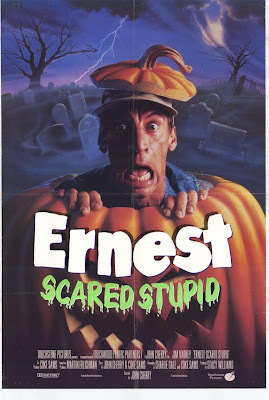 Ernest P. Worrell. Growing up, I watched this man star in various commercials. He went to jail, to camp, and he even saved Christmas (we'll discuss that in December). And he was also scared stupid. Yes, Ernest got his own Halloween movie. Hey, look! It's the sucky Peanut Butter & Awesome Lo-Fi Podcast! I need to warn you, I'm not used to podcasting alone. Also, I didn't have anything really in mind to talk about. That was probably part of the problem. 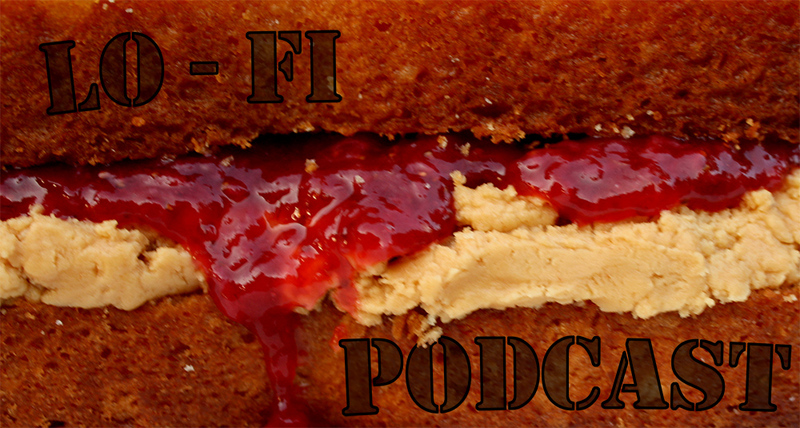 You can listen with the embedded player, or you can download the podcast directly from the link after the jump. It's finally October! That means two very important things: Pumpkin Pie Pop-Tarts are here, and Halloween is near! My favorite thing to do in October to prepare myself for Halloween is to, of course, watch movies that I feel best exemplify the season. Now, this doesn't just mean extreme gore fests (of course, I do love me some gore), but I like to include movies that have that Halloween feel. Anyway, let's get to Day 12 of Halloween Movie Madness 2012! Tonight is a special night, because I get to watch my favorite horror movie of all time. 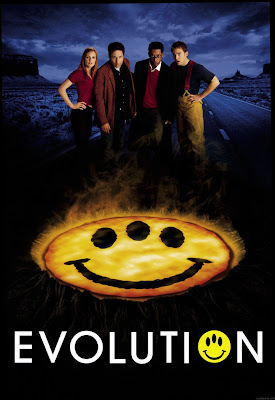 Actually, now that I think about it, it might just be my favorite movie of all time (it is very close between this and Rain Man). This means that I have to take extra care to make sure I don't ramble on and on and on about this movie. It is very easy for me to do so, but I will be certain to keep this post at a reasonable length. It's finally October! That means two very important things: Pumpkin Pie Pop-Tarts are here, and Halloween is near! My favorite thing to do in October to prepare myself for Halloween is to, of course, watch movies that I feel best exemplify the season. Now, this doesn't just mean extreme gore fests (of course, I do love me some gore), but I like to include movies that have that Halloween feel. Anyway, let's get to Day 11 of Halloween Movie Madness 2012! 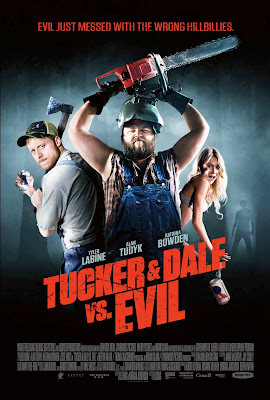 Tonight’s movie is another one of those “Guy movies” I mentioned in yesterday’s post. Starship Troopers is one of those sci-fi movies that has just the right amount of humor, camp, boobage, satire, and gore. This is also going to be another shorter-sized HMM; my sinuses are all messed up and my forehead feels like it is going to asplode. At least, I hope it's only sinuses. It's finally October! That means two very important things: Pumpkin Pie Pop-Tarts are here, and Halloween is near! My favorite thing to do in October to prepare myself for Halloween is to, of course, watch movies that I feel best exemplify the season. Now, this doesn't just mean extreme gore fests (of course, I do love me some gore), but I like to include movies that have that Halloween feel. Anyway, let's get to Day 10 of Halloween Movie Madness 2012! Tonight, we have a last minute substitution. 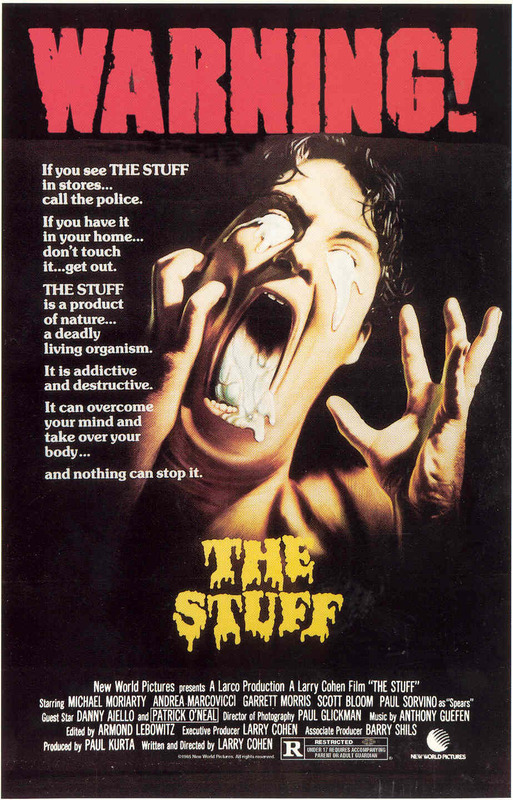 I was going to do Ernest Scared Stupid, but I want to include my son in the viewing of that one. This is also going to be rather short because I feel like someone smacked me over the head with a steel pipe a few times. Maybe it was because I ran around with a chair on my head for a bit today. It's finally October! That means two very important things: Pumpkin Pie Pop-Tarts are here, and Halloween is near! My favorite thing to do in October to prepare myself for Halloween is to, of course, watch movies that I feel best exemplify the season. Now, this doesn't just mean extreme gore fests (of course, I do love me some gore), but I like to include movies that have that Halloween feel. Anyway, let's get to Day 8 of Halloween Movie Madness 2012! Ah yes, Shaun of the Dead. 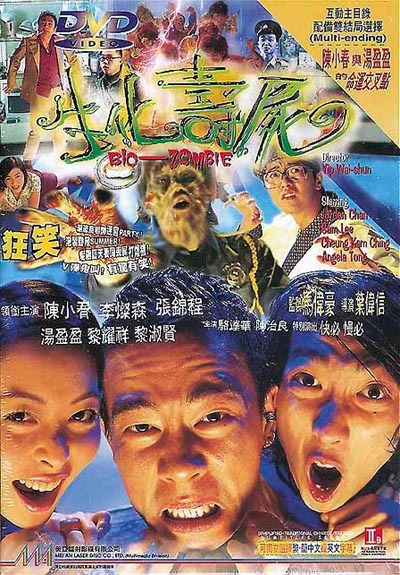 My favorite romantic comedy with zombies. 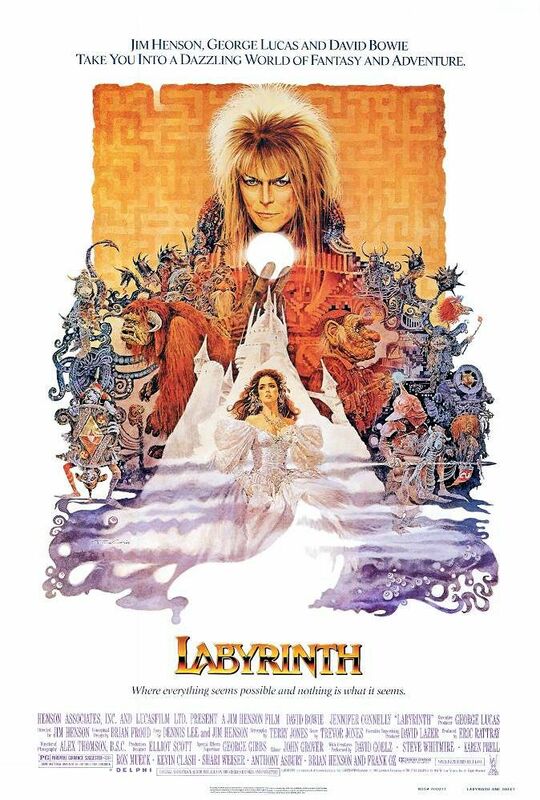 This is one of those movies that is loved by everyone that I know who has seen it. Hell, even my wife enjoys it, and she doesn't care for gore-filled flicks very much. It's finally October! That means two very important things: Pumpkin Pie Pop-Tarts are almost here, and Halloween is near! My favorite thing to do in October to prepare myself for Halloween is to, of course, watch movies that I feel best exemplify the season. Now, this doesn't just mean extreme gore fests (of course, I do love me some gore), but I like to include movies that have that Halloween feel. 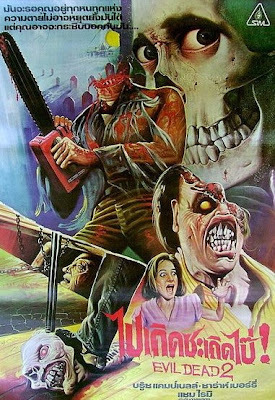 Anyway, let's get to Day 5 of Halloween Movie Madness 2012! 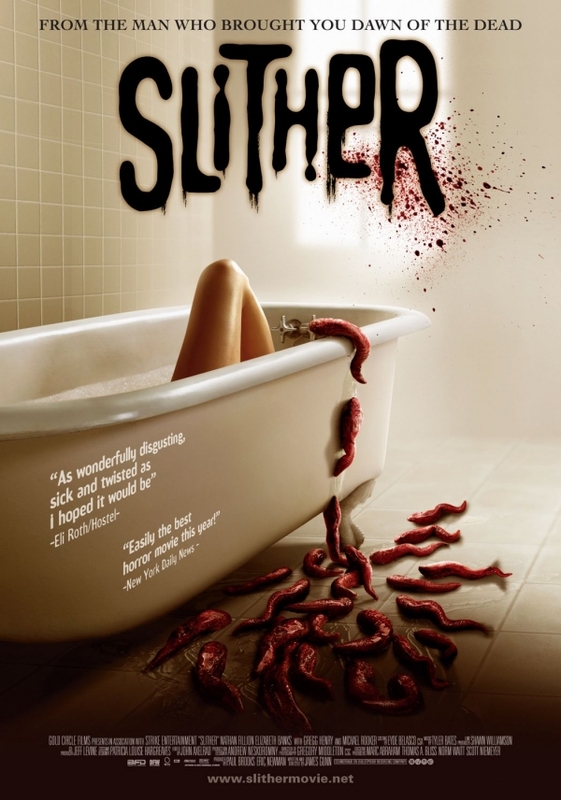 Last night's movie was Slither, a great throwback to the horror movies of the 80's. 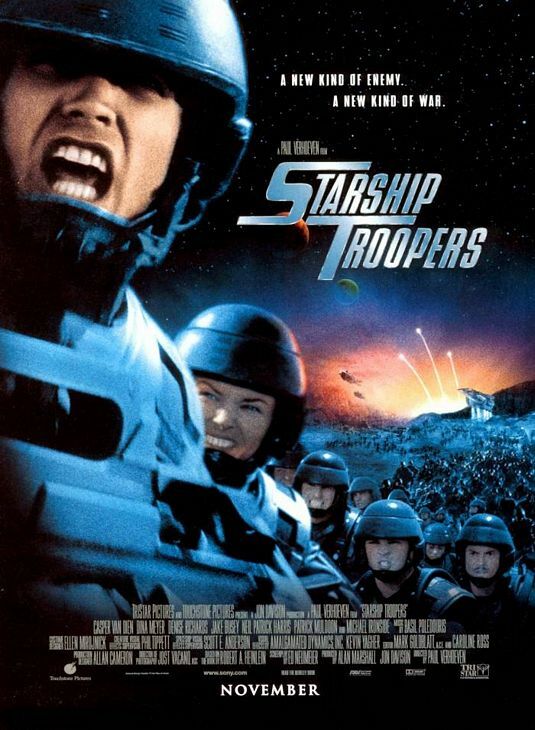 You know when a movie starts off with an asteroid hurtling through space at Earth, things are going to be fun. And fun is this movie’s middle name. 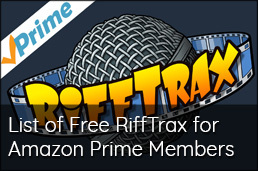 Well, maybe that should be last name... if it was the movie’s middle name, it would be Slifunther. 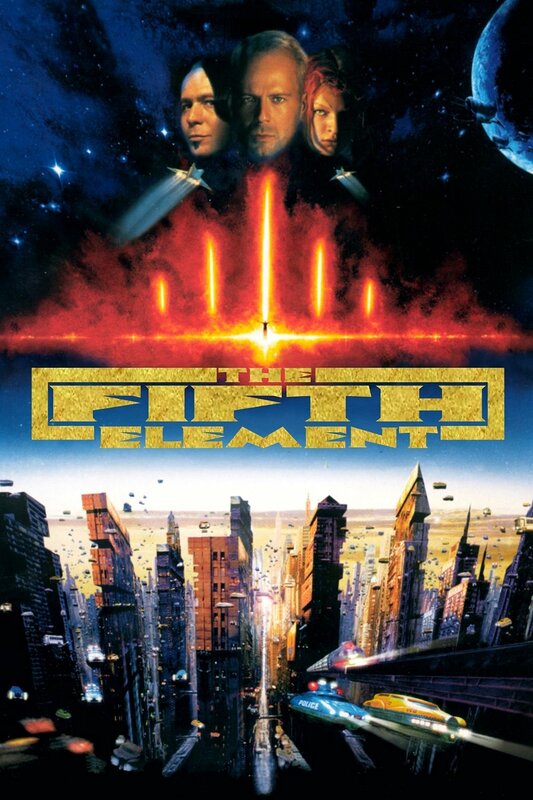 Of course, if it were the movie’s last name... you know what, nevermind. I’m just getting sidetracked. It's finally October! That means two very important things: Pumpkin Pie Pop-Tarts are almost here, and Halloween is near! My favorite thing to do in October to prepare myself for Halloween is to, of course, watch movies that I feel best exemplify the season. Now, this doesn't just mean extreme gore fests (of course, I do love me some gore), but I like to include movies that have that Halloween feel. Anyway, let's get to Day 2 of Halloween Movie Madness 2012! 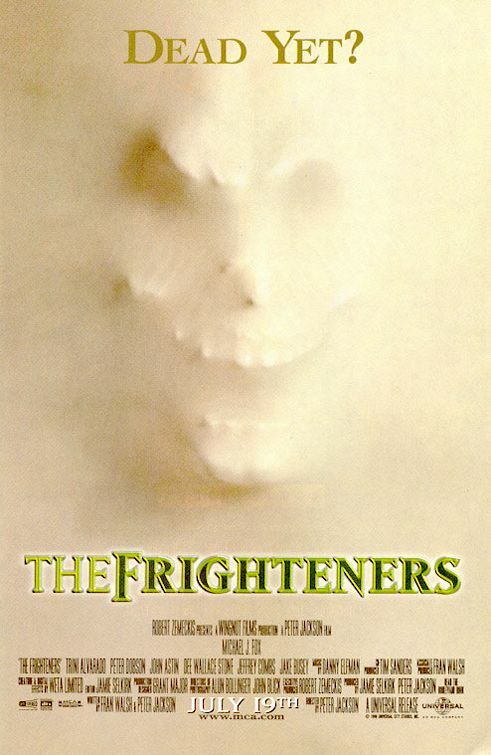 Tonight's movie is the first from John Carpenter that are going to be a part of Halloween Movie Madness. 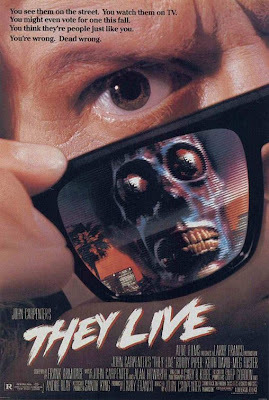 It also stars Roddy Piper. They Live also spawned one of the most popular lines to ever come out of Duke Nukem's mouth. It's finally October (technically)! That means two very important things: Pumpkin Pie Pop-Tarts are almost here, and Halloween is near! My favorite thing to do in October to prepare myself for Halloween is to, of course, watch movies that I feel best exemplify the season. Now, this doesn't just mean extreme gore fests (of course, I do love me some gore), but I like to include movies that have that Halloween feel. Anyway, here I am with Halloween Movie Madness 2012! Our first movie is one of my all-time favorites!